Worth Reading! - greystonesacs jimdo page! Athletics is going through a rough period, and I’ve spoken before about losing some of my emotional attachment to the sport. But I still believe athletics is where competition is at its most basic and stinctive, partiularly at a grassroots level! These days I often find myself on the sidelines watching young athletes race, and there is no better place to see competition in its most natural state: it doesn’t take much to realise who is the best, the fastest, the most competitive. There aren’t a lot of tactics employed, as they almost all rely on natural competitive instinct. Young athletes are always fighting for the lead, whether it’s a 400m or a 1,500m race, simply because they believe to be in with a chance of winning you need to be as close to the lead as possible at all times. Last Friday night I found myself inside the Lakeside Stadium in Melbourne, a nice blue track alongside the Albert Park lake. 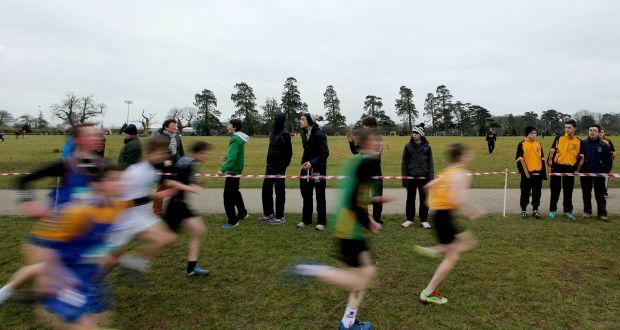 It was a full weekend of athletics, the Victorian Junior Championships. As a parent, I was required to volunteer some time to my club, Glenhuntly AC, to help out with the running of the programme. I figured if I took the first two hours on Friday evening I would be free to relax and enjoy the races for the rest of the weekend. I was given the job of tape puller in the shot put circle, not something that I am too familiar with, although with a few simple instructions and corrections in the first few attempts I had it down to a tee. That was until the 1,500m races started, when I had to multitask, keeping my eye on the races while continuing the shot put measuring. Now I may be slightly biased, but to me the middle-distance races are the most exciting, entertaining and competitive events on the programme. I am involved a little with coaching in Australia, although not my daughter Sophie, who was running in the under-16 1,500m. No wonder I was distracted. I see a lot of myself in the way Sophie races. Not the times she runs, but just her instincts, her ability to race. She is always jostling for a lead position, similar to when I used to compete in junior races around Cork and Munster. The best thing about these races is the aftermath: all the girls are the best of friends, rolling around on the grass laughing, not a care in the world – when only minutes before they were battling on the track. Sophie finished second, in her best time, and she was happy. I sensed, without any discussion, that she was already looking ahead to the next race. At this level, it’s not the time that matters: the competition is so fierce that the times just come with the pure racing. Watching these races, I always have an eye on the clock because I understand if you go too fast at the start there is a good chance you will slow down and the winner is rarely predictable. It’s also easy to pick out the athletes who are training and more physically prepared. However, it is those who have trained less, but possess a more competitive instinct, who are more fascinating to watch. Sometimes these athletes do things that shouldn’t be possible, based on their preparation, but being involved in the competition allows them to regularly finish in the top three, or run faster times. This is partly due to natural talent and an ability to rise to the occasion, a fearless and instinctive ability to react to any challenge. The longer you can contain this natural competitiveness in children, without pressure or expectation, the more likely that they will continue to be competitive throughout their adult life. The enjoyment of sport and the ability to be competitive must balance out. As soon as the competitiveness becomes more important than the enjoyment, then the level of competitiveness will drop. A bit like hitting a golf ball; the harder you try, the worse your shot. You need to be at one with what you are doing, and to produce a balanced effort, in order to achieve more. There is a competitive instinct in all of us. Some people may not even know it, as they think to be competitive means you must be involved in a sporting activity. But this competitive instinct is the driving force that allows each person to fulfil their potential. It comes out in the variety of activities, from schoolwork to office work, to simply cooking the dinner each day. It’s not always obvious, but if you find yourself being very particular about how you do something, take the time to perfect it, then you’re clearly competitive in some sense, and it’s only the beginning of the natural competitive instinct that drives us every day of the week. You also need to be able to relax and enjoy what you do, to be able to get the best results. If we can instil this ability in our children, they are more likely to have a competitive and enjoyable life in sport. The difference now to when I was young is the greater involvement of parents in their child’s sporting lives. I believe parents should be there for transport and support and other peripheral matters, but outside of that should stay on the sidelines and simply enjoy the competition. Let the children be the driving force. Let them find a way to be competitive and get the best from themselves. The place for this to begin is on the school field, and then let it reinvent itself in some other area of life later on.